Since General Abdel Fattah al-Sisi overthrew Mohamed Morsi on July 3, the military-led government has been engaged in a ferocious crackdown of the Muslim Brotherhood and more broadly of Islamists (though some, like the Salafis of the Nour party, playing their hand carefully, have generally avoided trouble so far). Mohammed Youssef, the Egyptian kung fu champion, found his gold medal taken away and himself banned from competitions after he expressed support for Mohammed Morsi by wearing a T-shirt with the pro-Morsi symbol of an open palm and four fingers. Gen. Mohamed Farid el-Tohamy, Mubarak's anti-Islamist honcho, is back after 2½ years of disgrace and investigation. He is now reputed to be the main advocate and implementor of the attempt to destroy the Muslim Brotherhood. "He was the most hard-line, the most absolutely unreformed," says one Western diplomat on background. "He talked as if the revolution of 2011 had never even happened." The secular activist Ahmed Belal, with support from the Rebellion movement, called for a boycott of Muslim Brotherhood-owned business, causing them major financial losses. Some Salafi-owned business have it even worse, being not only boycotted but set on fire . After parents complained that the Muslim Brotherhood-affiliated school principals and teachers were inciting violence against the police and military, the Ministry of Education fired 95 of them. How this effort fares has vast importance not just for Egypt but far beyond. Should the crackdown succeed in isolating, weakening, and destroying the Islamists, then others will replicate it elsewhere. But should it fail, the campaign will be discredited and will not be repeated. 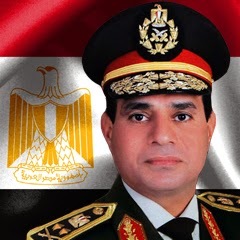 Technorati Tag: Egypt and al-Sisi and Muslim Brotherhood.